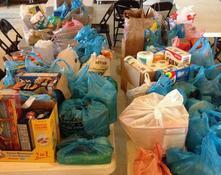 *Assistance with the Food Pantry on Mondays 10:30AM - 2:30PM and Thursdays 3PM-7:30PM. 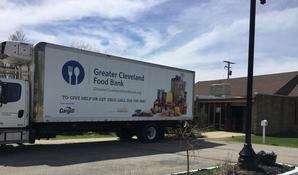 *Greater Cleveland Food Bank truck delivery on Wednesdays anytime from 11:00am until 1:30pm-unloading the pallets and putting items away. 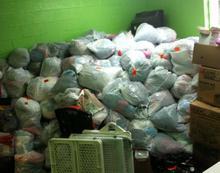 *Sorting clothes that have been donated to put out for clients to look through. Please be aware that we borrow the church for our programs and donations are NOT allowed to be left outside. If the above hours do not work for you, please give us a call at 216-433-1515, to make other arrangements.